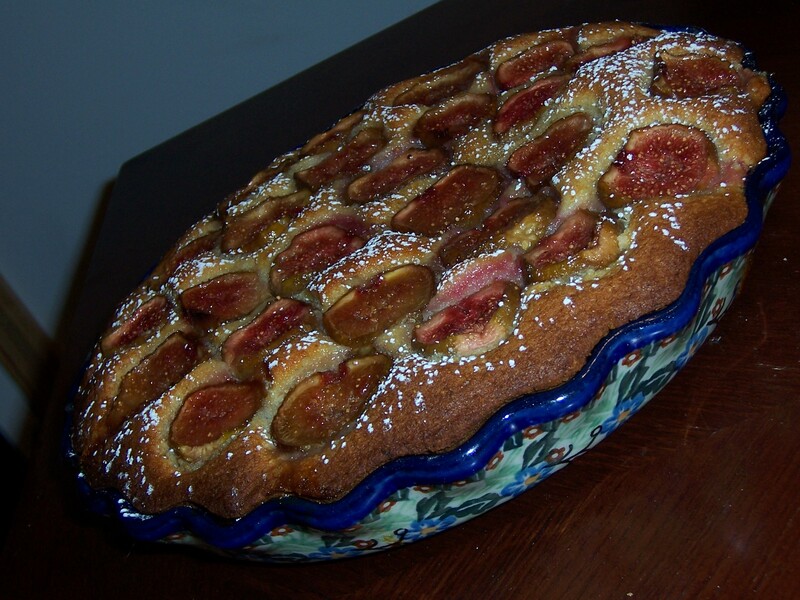 For the week of October 25th, Ursula of Cookie Rookie chose A Fig Cake for Fall, which is located on page 198 in Baking: From My Home to Yours. I actually did this recipe on time for once but because it wasn’t Vegan I did not want to post it during Vegan MoFo. I was trying to follow the rules and be respectful. 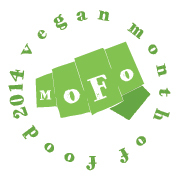 I was initially going to try to make this vegan, but the more I looked at the recipe…and the screw up with the brownies, I wanted to make sure it was right the first time. So I opted to make it the omni way and forgo posting until October was over. Funny thing is, when I decided I wanted to make this I had just been to Trader Joe’s and noticed that they had fresh figs…score. Too bad I didn’t buy them at the time. I went in a couple of days later and they didn’t have any. Come to think of it, I was in there two days ago and they didn’t have any either. I actually baked both of these ahead of time. But with the whole pregnancy thing, trying to get the house in order and work, I just never got around to posting. This weeks Tuesdays with Dorie was chosen by Patricia from Life With a Whisk. 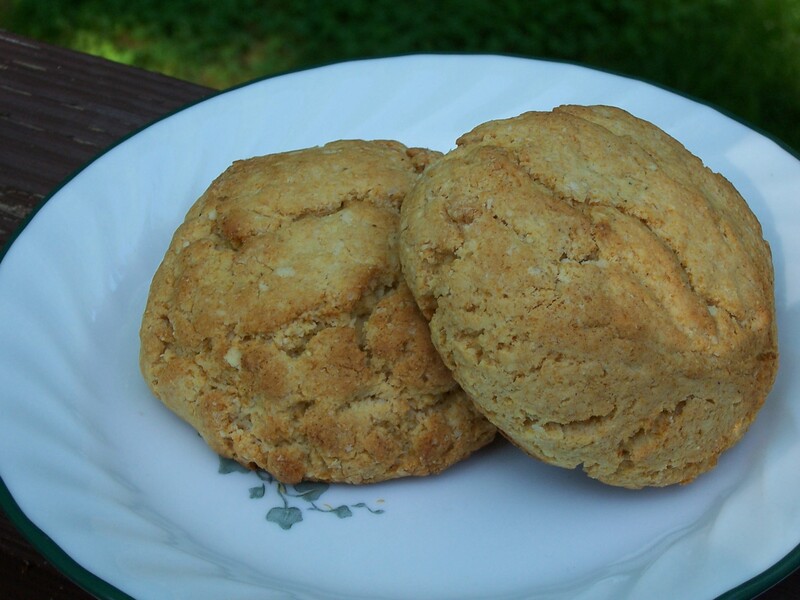 She picked Dorie’s Oatmeal Nutmeg Scones which is located on page 30 in Baking: From My Home to Yours. 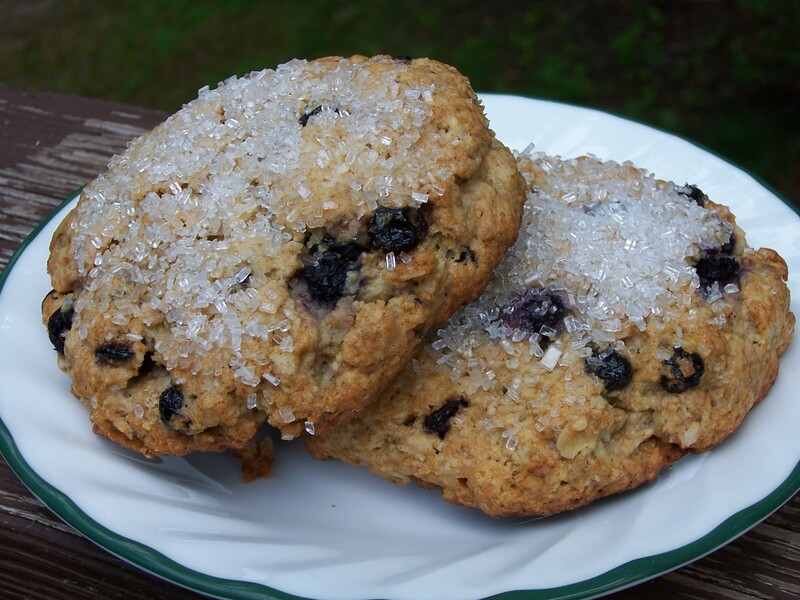 I have actually made this recipe before as a Peach Oatmeal Scone, and again I wanted to mix it up so I made a Blueberry Oatmeal Scone. The scones turned out great. You really couldn’t tell that I used white whole wheat flour, and the dried and frozen blueberries gave the scones a great blueberry flavor without making it taste artificial. The recipe was very easy to put together. Especially since I decided to use a scoop to shape the scones instead of forming them into triangles. This weeks Tuesdays with Dorie was chosen by Valerie of Une Gamine dans la Cuisine. 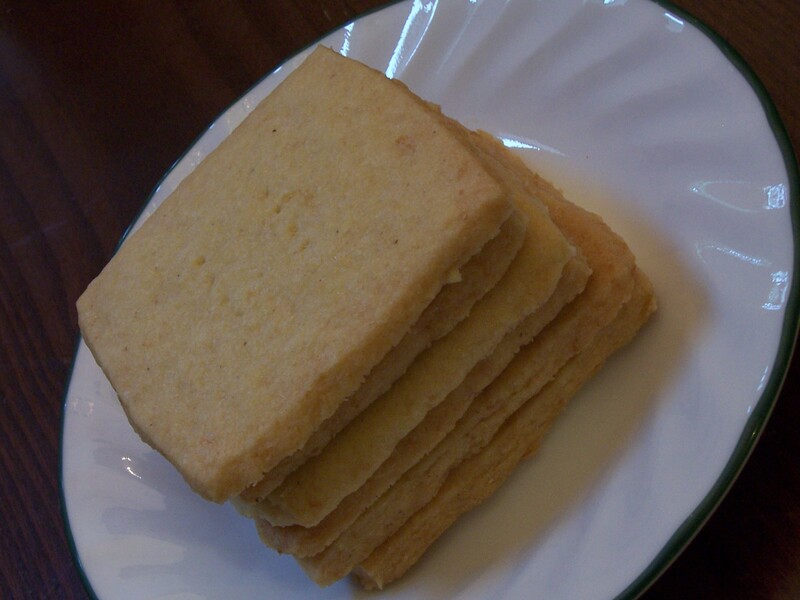 She picked Dorie’s Cornmeal Shortbread Cookies which are located on page 130 in Baking: From My Home to Yours. These cookies are essentially lemon shortbread cookies with a hint of cornmeal in them. I decided to only make half a recipe, however, I did use the zest from one lemon because I love that citrusy flavor. The dough came together without any problems, and I just used one bowl and a spatula to mix everything. The longest anything took was the wait time for the dough to firm up in the fridge before baking. I probably should have cut these into smaller squares, but they turned out great none the less. I really liked the flavor of these cookies with the lemon, and I couldn’t really tell that there was any cornmeal in it. It essentially just gave the cookie a pale yellow color. This weeks Tuesdays with Dorie was chosen by Christine of Happy Tummy. 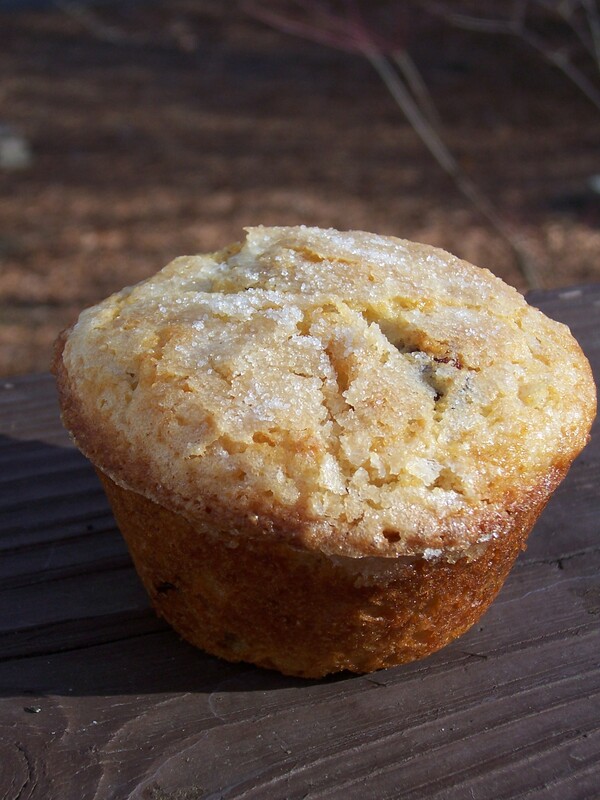 She picked Dorie’s Great Grains Muffins which are located on pages 8-9 in Baking: From My Home to Yours. Holy Crap!!! I actually have all the ingredients I need…well sans prunes, but I have plenty of other dried fruits (cranberries, cherries, blueberries, apricots, orange flavored cranberries, golden raisins, etc.) Now I just need to decide which dried fruit to go with. At first, I was stuck on apricots and then at the last moment I decided to go with cranberries. I decided to put an entire cup of cranberries in because who doesn’t want plenty of cranberries in their muffins. I only changed two other things about the recipe, 1) I sprinkled the tops of the muffins with sugar, and 2) I baked these at 350°F for 20 -25 minutes. I changed the baking time and temperature because lately when I have baked any muffins at 400°F they got WAY too brown on the bottoms. So I opted to be on the safe side, and they turned on fantastic. Ever since I was at work about a month ago and saw fresh figs in the fridge, I wanted to find some and make something nice and sweet. Of course my grocery store wasn’t carrying them at the time and the only place I could go to get them was Costco, but you need a membership to shop there. That went out the window really quick. On Tuesday I was wandering around the grocery store and was in the produce section and noticed a small container of fresh figs.